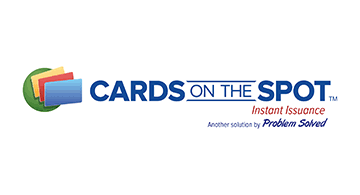 Cards On The Spot is a browser-based instant card issuance product that will change the way your institution issues cards. Offering either flat graphics or embossed cards, all with EMV support, we have the right solution at a reasonable price…with great service after the sale. www.ProblemSolved.com/cots for more info.